Think about the last time you wanted to visit the Holy City, imagine walking through its grounds and feeling undeniable energy. Then, you remember how truly out of your reach it is physically. Yet, you still yearn for a sense of connection to this sacred place. 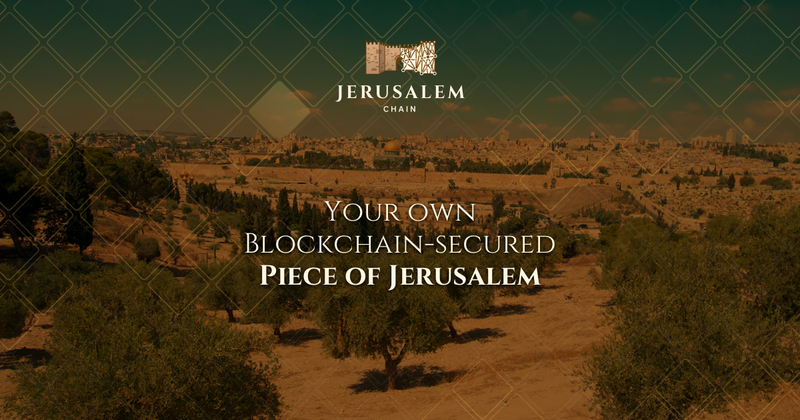 Jerusalem Chain offers anyone a place of belonging regardless of physical distance by allowing you to claim a piece of Jerusalem. A 650m2 physical plot of land in Jerusalem, divided into 2,166,667 plots of 3 cm2 each having a digital counterpart. These digital plots are offered for ownership to anyone seeking to mark their legacy in Jerusalem.